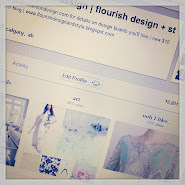 flourish design + style: closets, lemons and hydrangea's..
What's the state of your closet?! I tend to merchandise mine once every couple of weeks.. when I switch it up I think of new combo's.. I have a serious weakness for anything lemon..
and I really need to pick up more hydrangea's.. I was loving when I saw this in my kitchen..
congrats on your beautiful design in ivy & piper. what a beautiful space and I admire your philosophy to live in a space and then design around life. I too adore anything lemon. I hit up the farmers market this weekend too and I obsessed with hydrangeas. I want to plant them all around my house just so I can always go outside and pick them! Oh my that lemon thing looks delicious! Question: where did you get that plant behind the hydranga's? Oh and I blogged about your pink jcrew blouse you blogged about earlier... its on sale now!! YAY - so glad I won one of your prints - I'll email you as soon as I decide! Excited to put it in my home office :) Your hydrangeas or so pretty - love the peak into your space!